The definitions of advertising, public relations and marketing can often be blurred into one hazy mess, but these three elements of business — especially within the HVACR industry — can work in harmony together to increase visibility, create goodwill and promote positive recognition. The collaboration of these efforts ultimately leads to an increase in business and profits, if used the right way. But first, it's important to understand each of these three functions separately. Advertising is the activity of attracting public attention to a product or business through paid announcements in the print, broadcast or electronic media. These include your television commercials, web advertisements and outdoor billboards. Marketing is the activity of communicating the value of a product or service to customers, for the purpose of selling that product or service. Marketing demonstrates value. This can be through sponsorships of events, Internet marketing through SEO or market research for your brand, among other things. audiences and nurture those relationships through social media, media relations and community programming. Each function may sound the same in some regard, but in actuality, each element needs the other to thrive. Advertising shows you off — it gets people to pay attention. Once they're looking, it's time to turn on the marketing and show your value. Marketing can be done through design and branding. For example, when someone visits your website, your online brand represents your company and its value. Your marketing should work hand-in-hand with your advertising (often, the two overlap). Once there is perceived value, its time to turn the volume up on public relations. Public relations efforts should literally do that — relate to the public. Engage, nurture and connect with your audience in a meaningful way. Communicating through media is a great platform to share the good news, create an enhanced presence and further engage viewers, readers and users with meaningful communication. Community programming is grassroots public relations efforts that connect you face-to-face with your consumer. Through presentations, luncheons or something else, this is where you show your audience you're real and not simply a face in an ad or a brand on a website. Advertising, marketing and public relations don't have to be used in that order, but they should all work together to create the biggest splash, demonstrate your amazing value and develop an ongoing, meaningful relationship with the members of your audience and the publics you serve. Traditional advertising works, especially when you learn to do it with a twist. Champion AC's advertising strategy includes billboards, television commercials and online advertising. Some companies don't believe they have the budget to advertise, but it's important to create one. You'll have to test the waters — don't throw $15,000 at a campaign that may or may not work. Try a small sample size, perhaps a mixture of door hangers and direct mail, with a side of online buys (pay-per-click is a great one to try). Your advertising elements should be trackable so you can trace the effectiveness of each route. You can use vanity numbers or specific websites, so you know from where your leads come and, when you find what works, stick with it, grow it and enhance it. You'll see the fruits of your labor flourish. We blur the lines a bit between advertising and marketing in one of our most valiant marketing efforts in the community. In San Antonio, the city comes together to cheer on our Spurs and we want to be there to cheer with them. As the official air conditioning partner of the San Antonio Spurs, we have the opportunity to advertise and market in a variety of capacities. We advertise within the walls of the AT&T Center on the Jumbotron and scrolling marquees, and externally through traditional commercials. In a series of commercials, we've showcased the players and mascot along with our support of the team and community while educating San Antonians about the services we have available. Sponsorship opportunities in the community, whether through the sponsorship of your professional team, a youth sports program or even an association or chamber of commerce are great ways to market your HVACR company. Our public relations program is a fun part of our business as it allows us to develop relationships with the people we serve. Our PR team works with local media to pitch stories related to the weather when temperatures are extreme (recommending us to be interviewed on the air about what homeowners should do to ensure safety for their families when it's too cold or too hot inside or out). We also love sharing the latest technologies through news outlets to keep our consumers and the public informed, such as carbon monoxide detectors and the gaining popularity of ductless air conditioning. 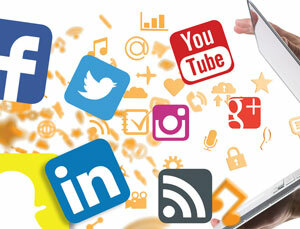 Social media is another aspect and serves as an incredible means to engage with our audience. Purchasing ads through Facebook, YouTube and other social media platforms is a cost-effective and simple way to increase your reach. Ensure your communication remains consistent and your brand from your website to your social media platforms continues to share your value. Relating to your public and engaging your followers is a great way to create loyalty and keep an ongoing conversation so you're always top of mind — a person may not need their air conditioning repaired today or tomorrow, but if you remain in communication with them, they'll know where to go when they do. Community programming is a great way to get directly in front of your audience through grassroots communication campaigns. Through San Antonio Energy Champions program we're able to visit local elementary school students and Parent Teacher Associations to talk about making smart choices when it comes to energy uses and being good energy stewards of the planet. It's a great way that we can give back and also share the importance of what we do in a face-to-face environment. Relating to your public is essential. 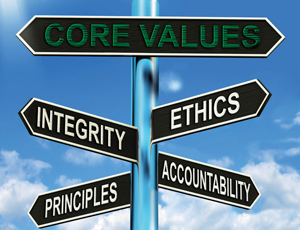 Having a meaningful relationship with an HVACR company may not be at the top of every consumer's list, but when given the option about a company that cares and one who doesn't seem invested in the community, guess who wins every time. 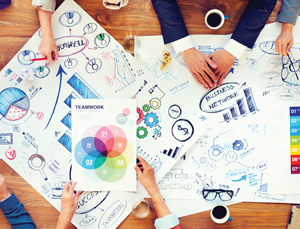 It's important to take the time to find a plan that works for your company. Advertising, marketing and public relations are more than fluff words, they're practical instruments that make your consumer and corporate audience become aware, feel valued and stay engaged. Know your audience, value them and serve them. Get creative and have fun with the way you communicate. 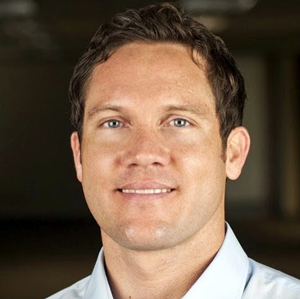 Ben Hubbert, co-owner of Champion AC, is a former member of Special Operations in the Air Force (Combat Control) who's now committed to helping the San Antonio community reduce its demands on the energy grid. Ben is a firm believer in education and constantly teaches new customer service approaches and techniques. Visit www.championac.com for additional information.